Georgette Anderson is one of America's most innovative home bakers. Her Mrs. Anderson's Pie Shields have saved millions of pies from burnt edges. 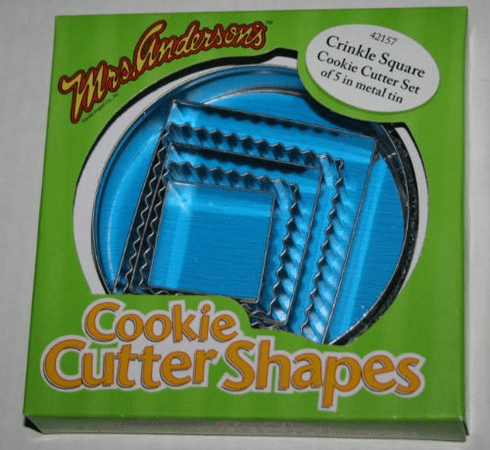 Here she offers five square cookie cutters, two with crinkled edges and three with straight edges enclosed in a round tin case. The diameters range from 2 inches to 3 3/4 inches. Great for cookies, brownies, and finger sandwiches.